It’s no secret: even if it wasn’t essentially my job, I would still be a gear junkie. In my natural work environment. Gadgets and gizmos a-plenty, when it comes to all things endorphin and sweat related, I have to learn more. Be it geeking out on my running gait analysis and what that means in terms of ideal run shoes for my personal lack of heel strike or the newest tech toys like tracking sleep and steps via my Fitbit Flex, you can almost guarantee that if it involves working out and peaks my interest at all, I will have a ‘have to have it’ moment. Training is of course essential, but good gear can absolutely help one be prepared for any given situation out on the race course. 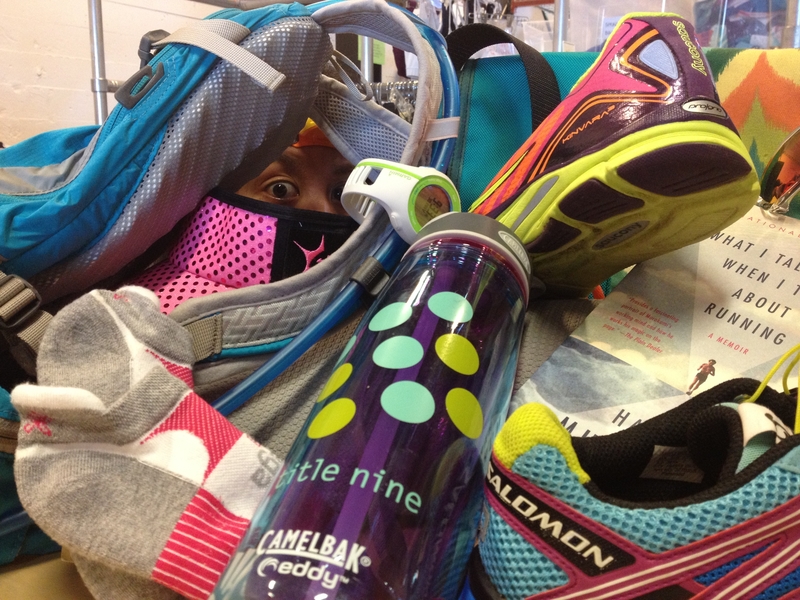 So how does a self-proclaimed gear junkie who is on a mission to run 103 races not own a hydration pack?